Los Angeles County Supervisor Don Knabe announced the return of the County’s Arts Internship Program, which will provide 74 paid summer internships for college students. Position descriptions and contacts are posted on the Arts Commission’s website. Go to Los Angeles County Arts, click on “Internships,” then “Opportunities for Students.” Interested students should act as soon as positions are posted as there is stiff competition for a limited number of internships. Students apply directly to the organization offering the internship, not the Arts Commission. The organizations make final candidate selections quickly, as internships begin on May 30. Graduating seniors who complete their undergraduate degrees by September 1, 2011 are eligible, as well as undergraduates. Applicants must have completed at least one semester of college by June 2011 and be currently enrolled (full-time) in a community college or a four-year university. Applicants must be a resident of and/or attending school in Los Angeles County. The positions are for 10 weeks and pay $350 per week. Interns also take part in educational and arts networking activities. Through the program, interns gain real work experience to strengthen their resumes and develop business skills that can be put to use in their future careers. •	The Multidisciplinary Arts Intern at Angels Gate Cultural Center will receive valuable experience in all aspects of arts administration and be involved in events such as the annual Angels Playfest Play Reading Series and prepare for the on-site Cevapcici Fall Festival. •	At Long Beach Opera, the Arts Administration Intern will play an integral role in Long Beach Opera’s 2012 season marketing campaign. The intern will analyze and evaluate past marketing efforts and use traditional and cutting edge marketing tactics to help expand Long Beach Opera’s patron base. •	The Music Production and Radio Broadcast Intern at Arts & Services for Disabled will provide critical support for the performing arts and music program. The intern will create and produce a musical piece for broadcast on several community and state college radio stations. To support the internships, Los Angeles County, through its Arts Commission, has given grants totaling $250,000 to 74 arts organizations throughout the County. Funding for non-profit arts organizations to hire college undergraduate interns in summer 2011 is available from the Los Angeles County Arts Commission. The guidelines, application and application instructions for the Arts Internship Program are now available on the Arts Commission’s Web site. Only nonprofit arts organizations that possess 501(c)(3) status and are not part of a college or university are eligible for the program, including municipal arts agencies and municipal performing arts organizations. Each organization may request only one full-time intern. Organizations with budgets over $1.5 million are required to provide a cash match of $500. Organizations with budgets greater than $4 million are required to provide a cash match of $1,000. The Los Angeles Philharmonic will perform a free concert at the Cerritos Center for the Performing Arts (CCPA) on Wednesday, September 29, at 7:30pm, Supervisor Don Knabe announced today. The full orchestra will be conducted by Manuel Lopez and will perform for one hour with no intermission. This event is a partnership between the Los Angeles Philharmonic, the City of Cerritos and the Office of Supervisor Knabe. Tickets to this event will be available by visiting the CCPA Ticket Office or by mailing a self-addressed, stamped envelope with the number of tickets requested to the CCPA Ticket Office at 12700 Center Court Drive, Cerritos, CA 90703. The box office is open Monday through Friday from 10 a.m. to 6 p.m. and Saturday from noon to 4 p.m. There is a limit of four tickets per household. Seating is General Admission. All ticket holders must be seated by 7:15 p.m. The LAPHIL presents free community concerts as part of its dedication to provide music for audiences throughout Los Angeles County. 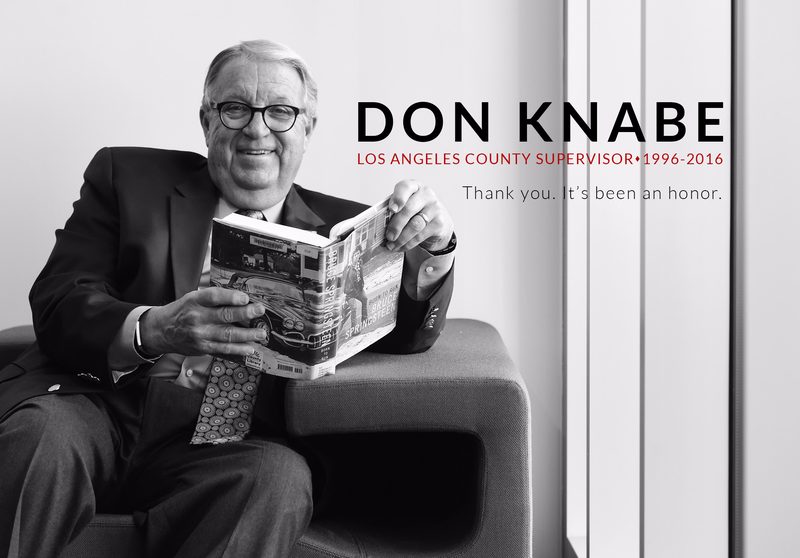 Supervisor Don Knabe is pleased to announce The Los Angeles County Arts Commission has awarded two-year grants to 24 arts organizations that focus on cultural services for residents of the Fourth Supervisorial District. The Organizational Grant Program (OGP) grants were awarded competitively, reviewed and scored by panels, and approved by the Los Angeles County Board of Supervisors. The grants for the Fourth District are part of awards totaling $4,118,000 to 166 nonprofit arts organizations for fiscal years 2010-11 and 2011-12. An estimated 10 million people will be served by the organizations receiving grants. Additionally, 20 organizations delivering services in the Fourth District will also receive grant funds in 2010-11 through two-year awards made last year. Grant recipients providing most of their services to the Fourth District are listed below. Search for your local Los Angeles County Public Library. Simply enter the library name, your city, your zip code or your general area below and then click search. 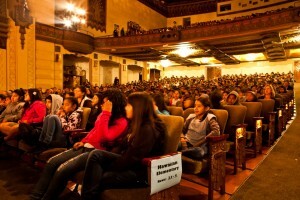 Over 1,000 San Pedro and Wilmington students ranging from 5th to 9th grade took part in an in-depth cultural field trip to the Warner Grand Theater to enjoy a performance by the LA Opera. The students were treated to a 50-minute performance of The Magic Dream, a light-hearted version of Mozart’s The Magic Flute! The event was partially funded by Supervisor Knabe’s Arts Education Partnership Program. The Music Center of Los Angeles County, a national leader in arts education, is seeking nominations for its Annual Bravo Award, honoring teachers and schools for exemplary arts education. The nomination acknowledges the hard work and dedication these educators have given to their students, their profession and their communities. Teachers and schools can be nominated in four categories: School, School Arts Program, Generalist Teacher, and Arts Specialist Teacher. The Bravo Awards is a two-step process involving the completion of a nomination form and an application form. In order to be considered for a Bravo Award, arts educators must first be nominated by principals, faculty committees, superintendents, parents or through self-nomination. Nominations are open to Los Angeles County educators and schools who deliver arts education programs during the regular school day. Nomination forms are available at www.musiccenter.org/education or by calling (213) 972-3387. All those nominated will be invited to attend an information meeting offered to assist in the completion of the applications which will be reviewed by a judging committee of educators and artists. Nomination deadline is October 15, 2010. Completed applications are due November 1, 2010. Upon completing an application, teachers and schools will participate in an extensive review process including site visits and feedback by the judging committee, as well as an invitation to participate in a winter forum addressing key topics in arts education. All Bravo Awards applicants will be recognized at an event to be held at the Music Center in spring 2011. The Music Center Bravo Awards program was established in 1982 to recognize teachers and schools for innovation and excellence in arts education. It honors educators who use the arts to revitalize teaching, enhance student achievement and foster self-esteem, teamwork and cross-cultural communication and understanding. Catalina Island is perhaps the only place in the world where Baywatch means something other than the popular television show of that name. Baywatch on this island refers to the cadre of highly trained paramedics, lifeguards, fire fighters and rescuers who handle everything from bee stings to diving accidents to lost hikers. This vital service is celebrated in a ceramic tile mural created by artist Sandow Birk for the fa cade of the new Avalon Lifeguard Paramedic Headquarters dedicated today. Rendered in blue tones on white tiles in the tradition of azulejo tiles found throughout Europe, North Africa and Latin America, the mural, on the curved wall of the headquarters’ entrance, depicts the idyllic harbor of the town of Avalon. In the distance a plume of smoke rises from a boat as a lifeguard vessel speeds to assistance. In the sky above the dots and dashes of Morse code spell out S.O.S. The mural’s border features sea life from the area, while six vignettes depict the various specialized activities and vehicles of the Baywatch Avalon lifeguards. The Los Angeles County Arts Commission through its Civic Art Program commissioned the mural as well as the tile work on the headquarters’ staircase risers leading up to the mural. Baywatch Avalon is part of the Lifeguard Division of the Los Angeles County Fire Department. The use of ceramics reflects Catalina’s history of tile making which dates from the 1920s. The staircase tiles mix traditional Catalina Tile Co. tiles with new tiles hand painted by Birk and fabricated by his wife and partner Elyse Pignolet. The risers bear the core values of the Fire Department , Commitment, Courage, Community, Caring, Teamwork, Integrity , and a poem that is the informal code of the U.S. Lifesaving Service. The Avalon Lifeguard Paramedic Headquarters is located at 440 Avalon Canyon Road in Avalon, a 15-minute walk from the ferry dock. Sandow Birk worked closely with the staff Baywatch Avalon while developing the artwork for the new headquarters. The lifeguard and paramedic station is 7,005 square feet and includes office space, reception area, living quarters for personnel and a bay for emergency vehicles and watercraft trailers. Carrie Brown of the Arts Commission was project manager for the Avalon Lifeguard Paramedic Headquarters artwork. Under the County’s Civic Art Policy, adopted in 2004, one percent of design and construction costs on County capital projects over $500,000 is set aside for the incorporation of civic art. Summer job opportunities for 74 college students are now available through the L.A. County Arts Internship Program. Descriptions of and contacts for the internship positions are posted on the Arts Commission’s Web site. Go to www.lacountyarts.org, click on Internships, then 2010 Internship Positions. Interested students should act as soon as positions are posted as there is stiff competition for a limited number of internships. Students apply directly to the organization offering the internship, not the Arts Commission. The organizations will want to move as fast as possible so their interns can start by May 31. Graduating seniors who complete their undergraduate degrees by September 1, 2010 are eligible, as well as undergraduates. Applicants must have completed at least one semester of college by June 2010 and be currently enrolled (full-time) in a community college or a four-year university. Applicants must be a resident of and/or attending school in Los Angeles County. Through the program, interns gain a deeper understanding of the work involved in nonprofit arts administration and the role of the arts in a community and develop business skills that can be put to use in their future careers. Internship host organizations help mold and shape potential new arts leaders who may go on to hold positions on staffs, boards or as volunteers.